MIRUM & SUITE Families of wireless solutions available as PICO RITE, NANO Open Fit and Power BTE. Mirum stand out for all the right reasons. With unmatched features and accessories in its class, let Mirum shine for you. Suite is Audina's most sophisticated hearing aid family featuring the Audio Efficiency core technology. No matter which environment if available, Audio Efficiency technology orchestrates the right set of features and accessories. Suite Pico RITE is such a small but powerful device. With state-of-the-art technology, it has the potential to make a big difference in people's lives. State-of-the-art technology is brilliantly designed to enhance life's precious moments. ChannelFree: Audina's proven signal processing system provides a distinctively clear and natural sound quality. It is a unique gem among the industry. 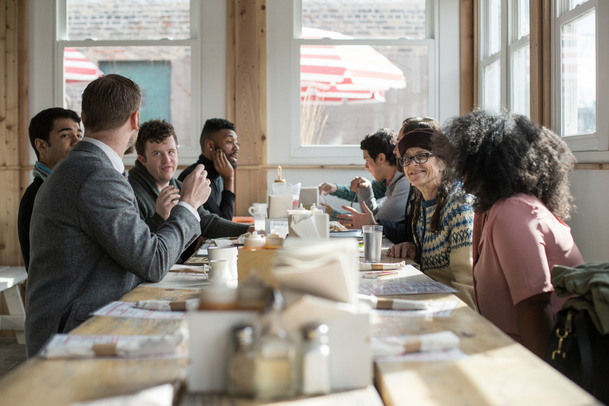 Noise Reduction Systems: Background noise, rustling newspaper or the clatter of silverware does not need to be such a threat to comfort. Neither does feedback. With feedback cancellers and noise reduction features, it provides a much more comfortable and less tiring hearing experience. Live Music & Cinema Programs: The rich sound quality of the cinema or a live concert contributes to the overall experience. Audina's Live Music and Cinema Programs cater to the unique characteristics and wide dynamic range of these sound situations. Experience the cinema and live music in all its fullness. Audina provides everything needed for understanding speech better in challenging listening environments. Accessories can also make wearing a hearing aid easier and more comfortable than you might think. Stay connected with Soundgate Mic. Use this discreet microphone for one to one communication in very noisy environments. 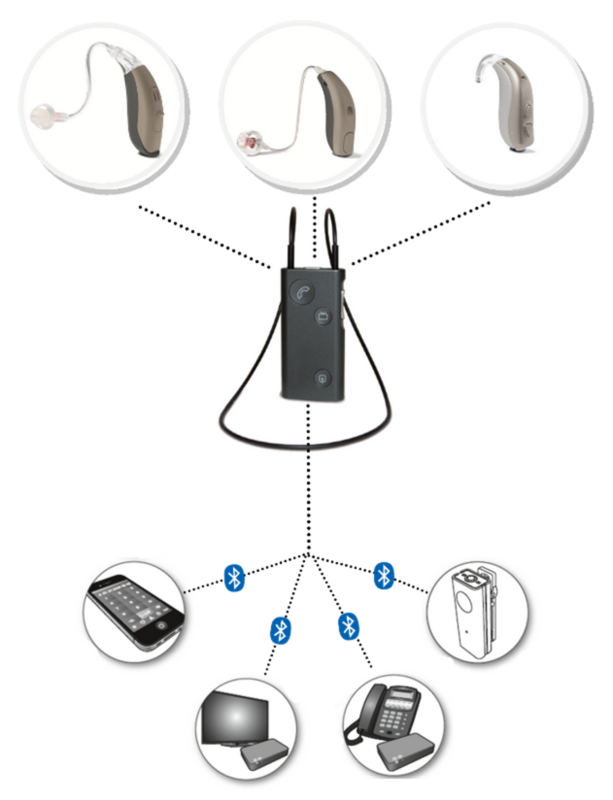 Available accessory for both Mirum and Suite Families of Wireless Hearing Aids. Stay Connected with the SoundGate App. 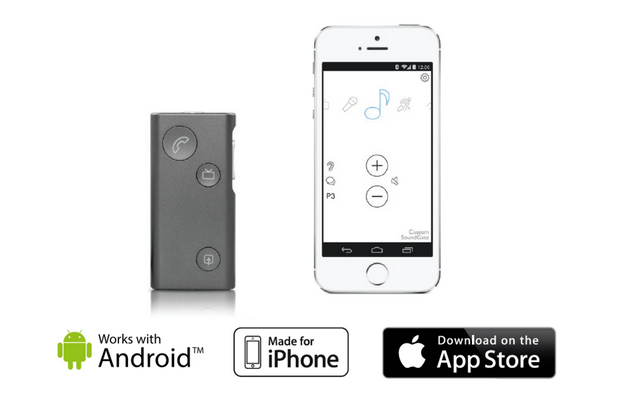 Use your iPhone or Android together with your SoundGate to discreetly switch programs, turn the volume up or down and connect to multiple devices. SoundGate App works with both Suite and Mirum Family of Wireless Hearing Aids. Contact us today to learn about all of our wireless accessories and products.